When it comes to having wonderful-looking skin, most of us know that if you skimp, you don’t get the kind of results you’re looking for. Despite most of us being aware of this, we still don’t use essentials as we should. One of the most important? The toner. However, not just any toner will do. You’re going to need one of the best toners if you want to minimize acne, balance pH levels, and even potentially shrink enlarged pores! So, what are you waiting for? They’re all waiting for you! 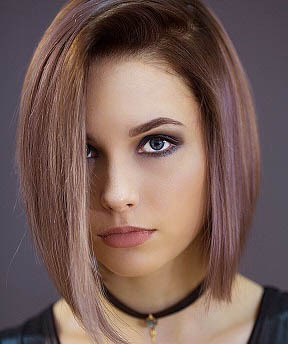 Now that you’ve had the chance to do a quick overview of each of the best toners, you’re probably interested in learning a bit more about some of them. Scroll down a bit further, where you’ll find in-depth, unbiased reviews about each! 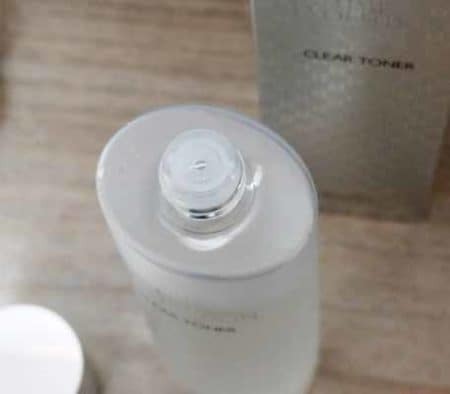 When many of us think of toner, we think of a strong, almost acidic product that helps to improve our skin, but often ends up drying it out or even irritating it. All of the best toners are gentle enough to not do this, while being strong enough to work. It can be a tough balancing act but Foxbrim’s Orange Blossom Water Toner has pulled it off. Orange Blossoms are known to be very delicate and pure. For hundreds of years, they’ve been used as a traditional accoutrement to bride-wear as emblems of chastity and innocence, but they’re so much more useful than that. They actually have many aromatherapeutic qualities to help calm the user. When also used in skincare products, the blossoms operate as a soothing astringent to clarify and heal the skin. The scent is directly of the orange tree flora, and since it’s 100% natural (as well as vegan and cruelty-free), you don’t have to worry about any other scents interfering with it. The astringent is also anti-microbial which works to gently cleanse skin, removing dirt and oil that can clog pores, make skin look worn-out, and cause breakouts. Their 100% pure orange blossom distillate is extracted with a water-steam process, and only the finest Moroccan amara is used. If you’re looking to heal and regenerate, smooth skin, reduce the size of pores, balance pH, and hydrate skin, then this is the product for you. Oh, and if you for whatever reason aren’t completely in love with it? They give you a complete refund. How awesome is that? We’ve come to find out that Orange Blossom Water has a long, interesting history, dating back to ancient times. In fact, Marie Antoinette took a particular liking to it. In Morocco, they often offer it to guests to freshen up hands once they arrive! While the methods for creating the waters vary, we loved the steam-distilled one we have here. It’s the most pure, and literally contains just the blossoms. In addition, it also features Vitamins A and C, along with a punch of antioxidants. We started out by putting some on a little cotton pad, and wiping it on our faces and neck to get rid of makeup, oil, and dirt. The scent isn’t strong and acidic like many astringents, but rather light and fresh. You don’t need to scrub into the skin to remove the grime; it comes off willingly. Not only that, but it didn’t dry out our skin at all! In fact, it seemed to have done the opposite, and left our skin feeling and looking more moisturized and healthy! Not only that, but if you have enlarged pores, you’ll love how this best toner for dry skin works to shrink them! The toner is soothing but the astringent/antibacterial aspect creates a natural kind of radiance. If you have oily skin, it’ll help limit the amount of oil production, and if you have dry skin, you’ll love how it infuses it with moisture! It may not be strong enough for some extreme cases of adult acne. Many out there have used Witch Hazel before, but ended up going with something else. While it can definitely be effective, when used alone it can be quite potent. That’s why we love Thayers Alcohol-Free Rose Petal Witch Hazel Toner with Aloe Vera. Witch Hazel is very effective as an astringent, but we love how it works together with the Rose Water and Aloe Vera. The Witch Hazel is organic and un-distilled, which means it has all tannins, which help heal your skin and make it look more youthful. Essentially, it’s keeping all of the important nutrients in-tact, which are really the main players of the product. If you haven’t used WH before, know that it normally does have alcohol in it, which can be rough for any type of skin, but especially sensitive skin. Ultimately, it dries out skin, which sometimes leads to creating more oil production, which is not what many people want. This one is: organic, alcohol-free, paraben-free, phthalate-free, and gluten-free! Excellent for sensitive skin; well, really any type of skin. 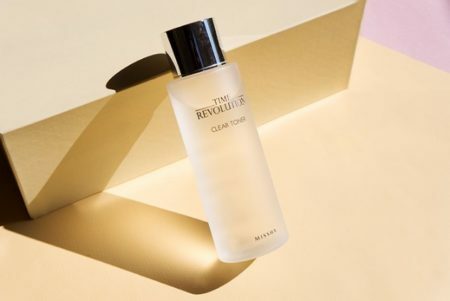 The first thing we loved about this toner? That it doesn’t have that strong, herbal-ly smell of Witch Hazel. That was honestly a very pleasant and welcome surprise. Rather, it smells like a big bouquet of roses, and isn’t overwhelming. Upon the first use, we did notice a few differences. The first difference, was that our skin felt very soft and hydrated, rather than tight and dried-out. It also gave us a kind of radiance, rather than a dull, dry look. After continued usage, we noticed more! Redness slowly began to disappear, inflammation was reduced, acne was diminished along with acne scars, skin began to look younger, and our skin was toned and cleansed thoroughly in just a few seconds! Well, your regular Witch Hazel that you pick up at the drugstore may cost you literally a couple bucks. This one isn’t quite as inexpensive, but if you’re willing to spend just a few more dollars, it can be yours! We’d definitely consider this one a great budget product considering how well it works and how long it lasts. Looking for one of the best Kbeauty toners out there but don’t know where to begin? 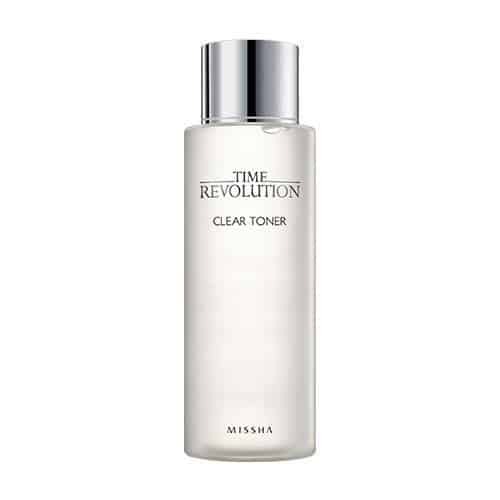 The Missha Time Revolution Clear Toner is a great place to start. 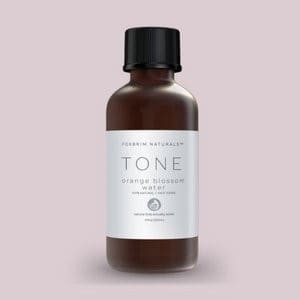 The fragrance-free toner is one of the most mind and gentle toners on the market today, and no matter if you have sensitive skin or not, we know you’re going to love this one. It works to cleanse the skin and rid it of any impurities, while also getting rid of dead skin cells and excess oil with a mild AHA (Alpha Hydroxy Acid) and BHA (Beta Hydroxy Acid) exfoliators. Not only that, but it also features somewhat of a signature ingredient of theirs: a fermented yeart extract (saccharomyces ferment filtrate). It helps boost cell turnover, which in turn helps the skin to look younger, as well as promoting clear, bright, and even skin tone. Those suffering from rough skin or a bland complexion, dry/scaly skin, or those who can’t seem to take their makeup off completely. However, it works well with just about any case or any skin type out there! This wasn’t our first time using a Missha product, and judging by how much we’d loved the last products, we had a feeling we were going to be ecstatic about this one, too. Luckily, we were right! Upon receipt of the toner, we noticed that the bottle was made of plastic. We personally prefer glass bottles, due to environmental reasons, but this one is more practical in the way that it isn’t going to break or shatter. Now, let’s talk about the ingredients of this alcohol free Korean toner. They are quite interesting, but effective. Probably the most interesting are the fermented ingredients. Fermentation is a natural process made to cure and preserve. Their fermented yeast extract works to create a natural 28-day surface renewal process, leaving the skin softer and brighter. Lactic Acid and Malic Acid work to deep cleanse and remove excess oil, as well as help to gently remove dead skin. Think of it as essentially a mini exfoliating session each time you use it! Citric Acid is a relatively common ingredient in toners, and it’s found here, as well. The ingredient is known to restore pH balance, as well as removing dead skin cells, and cleaning out pores! If you have a problem with oily skin, blackheads, or breakouts, you’re going to love this! As opposed to your typical Korean toners which are tapped and absorbed into the skin, this one is more of your traditional wipe-off form. That means all you have to do is put a little on a cotton pad and swipe it over the face and neck to get rid of grime quickly! The fact that this best Korean hydrating toner has no fragrance is wonderful, as many times, not everyone is going to like the same scent. It can also be annoying to have the same smell on your face all day long, and it’s wonderful for those with sensitive skin. Actually, yes! The shelf life is only 12 months, which in our opinion, was pretty low, especially considering the fact that you only need a bit of product to cleanse the entire face and neck. 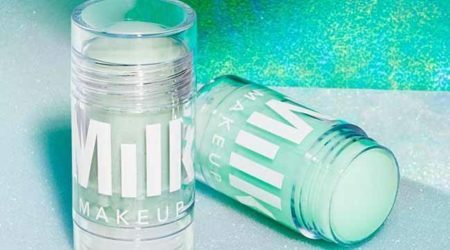 While Korean toners are all the rage right now, we have one that is also doing exceptionally well on the market today: the MILK Makeup Matcha Toner. First of all, it’s green, and it’s infused with Matcha (hence, the name). Oh, and one more tiny detail: it’s solid. Yes, it’s the world’s first-ever solid toner! No more having to spill some onto a cotton pad or tapping it into your skin. The ultra-convenient solid toner can be taken just about anywhere and used whenever you need a refreshment! But, let’s get down to business; what does it actually do? Give your skin a refreshing and relaxing experience, promote better fluid drainage while improving circulation, support hydration, create a bright/fresh complexion to revitalize dull/dry skin, as well as sooth and calm skin while reducing inflammation and redness. It features an array of unique ingredients that work together to create this special formula. First off, we have the obvious Matcha Green Tea, which works to detox the skin and give it a huge bump in powerful antioxidants. Kombucha is another, which works to sooth irritated skin, as well as brightening and clarifying the skin. Witch Hazel acts as an astringent and regulates the production of oils. Finally, Cactus helps improve the skin cell turnover and actually makes skin cells stronger and younger-looking! As women who are obsessed with skin care and constantly trying to find products to facilitate it, we have to test pretty much everything out there. Of course, it’s all in an effort to find the best so we can all revel in the glory of gorgeous, healthy skin! 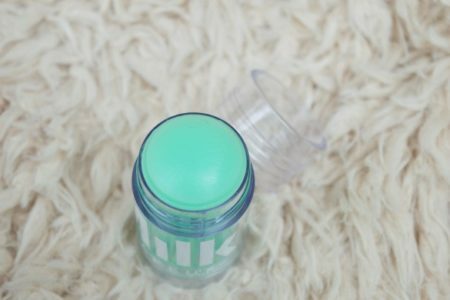 So, when we came across this Matcha toner stick, we knew we had to try it out. Honestly, we loved it right away. The packaging is eye-catching, with its green color and the obvious fact that it’s a solid. It was really nice to simply take off the lid and glide it around the face and neck rather than having to use a separate cotton pad or ball, accidentally spilling some on the counter, etc. It was also a pleasant surprise to find out that the stick didn’t feel like just putting deodorant on our face like we’d half-expected. It went on smooth and glided over the skin. It was actually a bit watery, too, and felt a bit like a massage due to how stiff and smooth it was. The fact that it’s vegan! This opens the product up to a much bigger percentage of the population, and who doesn’t love a product that’s good for humans, animals, and the planet? Well, even after just the first application, we noticed a difference in the smoothness and hydration of the skin. It really is like a rejuvenation to the skin, and after a few more uses, you could see a definite shrinkage of the pores. It absorbed excess oil well, and would be great for use with any skin type. So, were there any downsides? Due to the inclusion of butylene glycol, sodium benzoate, and a couple others, it can cause some skin irritation to those with very sensitive skin. Want to achieve great skin but have a problem with all of the chemicals in many of the most popular toners on the market, today? 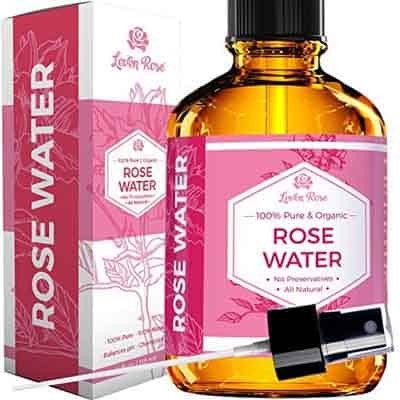 Then check out the Leven Rose Moroccan Rosewater! 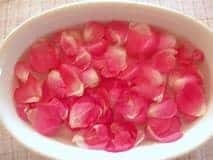 It’s actually a beauty product that’s spanned hundreds, if not thousands of years of consistent use to achieve gorgeous, healthy, rejuvenated skin. While it works well with any skin type, those with sensitive or very dry skin will see the most drastic results. The water works to get rid of acne-causing bacteria, while also ridding the skin of makeup and excess oil. However, it doesn’t strip the skin of its necessary oil, like so many other toners do. Not only that, but it’s also packed full of powerful antioxidants, fatty acids, and Vitamins A, C, D, and B6. This works to clear up blackheads, blemishes, and reduce inflammation and redness! You can also use it as so much more than just a facial cleanser! Use it in a face mask, use it as an aftershave to reduce inflammation and soothe irritation, reduce puffiness around the eyes, and even use it as a hair wash to give it newfound shine and hydration! We absolutely loved the Rose Leven Moroccan Rosewater; so much, in fact, that it made our Editor’s Pick! Why did we love it so much? We only saw wonderful results, and had literally zero complaints (unless you despise the smell of roses, that is). It’s 100% natural, with no alcohol, glycerin, artificial fragrances, nor parabens. It’s also vegan-friendly, so it’s available to a wide array of people, and doesn’t include many harmful ingredients. It’s also great for all skin types, but best for those with sensitive skin. The first time we opened it, we experienced a light rose smell with some grassy/herbal notes, which wasn’t overwhelming, but it you don’t like the smell of roses, then you’re kind of out of luck! 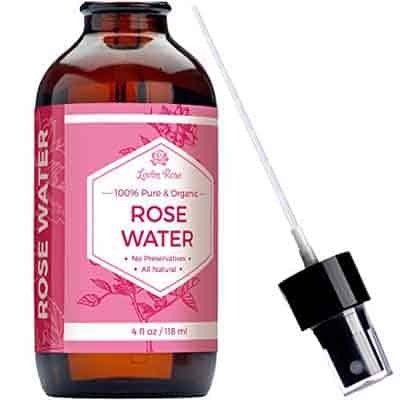 Made directly from roses, it’s not an oil, but rather an essential water, or “hydrosol”, which is made by steam-distilling the rose in its entirety to get the full benefits of all of the vitamins and tannins the flower has to offer. Right after the first use, we saw that our skin was smoother, softer, and more hydrated. After a while of using it, we definitely saw a better pH balance. Excess oil was no longer, but our skin felt perfectly moisturized; never dry, never oily. It also worked on hyperpigmentation spots to help reduce their appearance, and even reduced the appearance of fine lines and wrinkles. If you have any kind of irritation or redness, you’ll love how this stuff makes it disappear, almost like magic. Really, just the fact that the smell isn’t for everybody. Other than that, we loved it. Now that you know pretty much all you need to about the best toners, you may have already selected the perfect one for you. If you haven’t, worry no more! Keep on reading, because we have created a buying guide to make sure your purchase is not in vain. First of all, think about what kind of toner you would like. Do you want to stick to the traditional liquid form? Or perhaps you’d like to try something new and do the stick version. 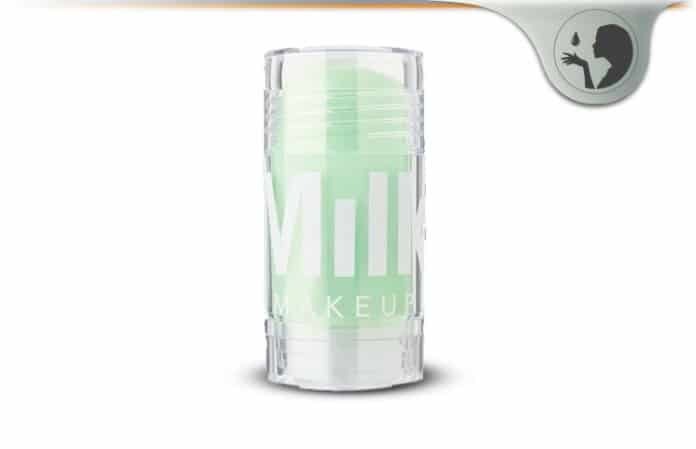 If you liked what you read about the Milk Matcha Stick Toner, then why not give it a try? It’s very convenient, you can take it with you anywhere you go, and you don’t risk wasting product. You’ll also want to think about the scent of your new toner. Is it something that you’re going to be fine with smelling all day long, potentially? 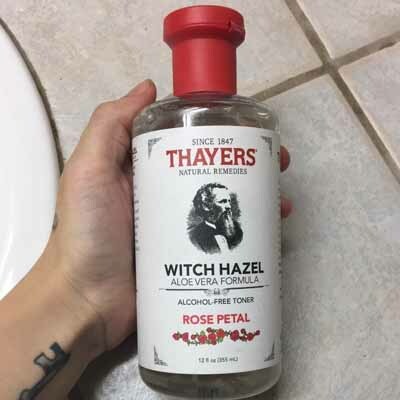 Ingredients like Witch Hazel can be very overwhelming to some users, and even the pleasant rose smell can get to be too much for some people. Try to create a kind of budget before you get started shopping; even if it’s online. You don’t want to end up spending more than you wanted, and risk the chance of buyer’s remorse, right? While that is a small risk, better safe than sorry in terms of money. 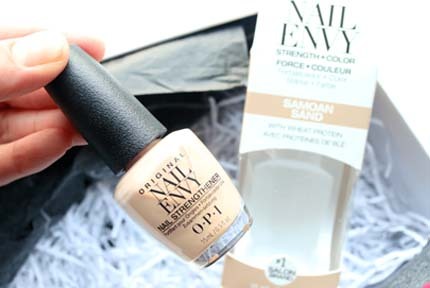 There are excellent toners that range from incredibly inexpensive to incredibly pricey. A,lso make sure to take into consideration how long the product is going to last you. Many of the more expensive products will last many times more than the cheaper ones, so in the end, you may end up spending less for the pricier product! Now that you’ve gone through all of the best toners on the market today, which one is the right one for you? If you still haven’t made a choice, allow us to recommend the Rose Leven Moroccan Rosewater Toner. It’s 100% natural and organic, and doesn’t have any parabens, artificial fragrances, or glycerin. It’s wonderful for all skin types, but really works wonders on those with dry or sensitive skin. If there are any skin irritations, it will soothe the skin, as well as get rid of any redness and calm down any inflammation. Not only that, but it can be used all over the body, and even on the hair to repair dry or damaged locks, and fade any dark spots, as well as balance pH so you neither have dry nor oily skin. So, which one of these best toners will be making their way into your skincare regimen?